In Japan, the springtime bloom of cherry blossoms is an annual rite of celebration, accompanied by picnics and parties under the flowering canopy. But this week, an odd thing happened: Some of the trees bloomed again. In autumn. Japanese broadcaster NHK reported that a weather company had received hundreds of reports of the trees blooming, across an area stretching from Kyushu, in southwestern Japan, to Hokkaido in the north. The apparent cause? The two typhoons that struck the country in September and early October. 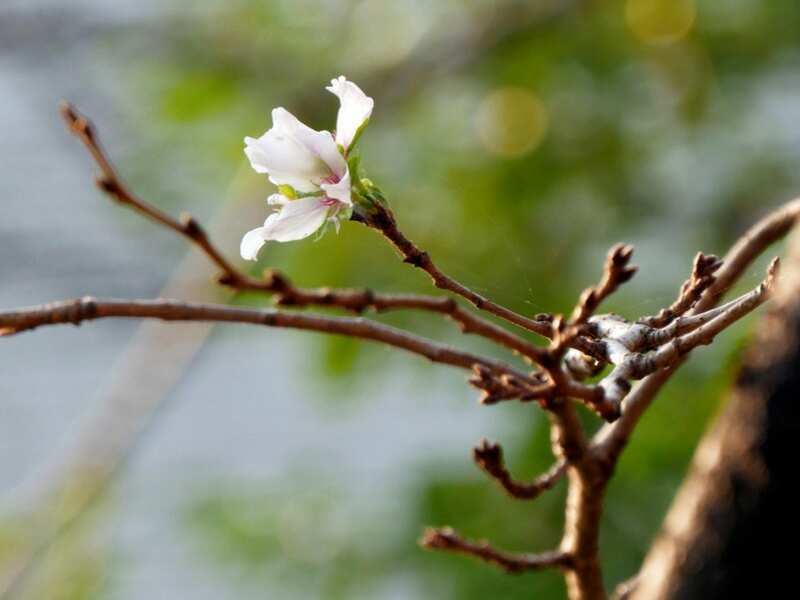 Wada explained that a popular variety of cherry blossom tree, the yoshino cherry, buds in the summer but does not usually bloom, due to a hormone released by the tree’s leaves that stop the buds from developing. But this year, many leaves were stripped off by those powerful typhoons – bringing strong winds and salt exposure that caused withering. Warm temperatures followed, which further encouraged the buds to bloom. Fortunately, the out-of-season flowering isn’t expected to affect the springtime blooms. The spring flowering of cherry blossoms in Kyoto has been documented for more than 1,000 years, as The Washington Post reported last year. By poring over diaries and chronicles of emperors, aristocrats and monks, a professor at Osaka Prefecture University named Yasuyuki Aono assembled a data set of cherry blossom flowering dates, stretching back to 801 A.D.
For most of that time, the full bloom dates were pretty consistent. But since 1850, the date of flowering has pushed earlier and earlier. That same trend has been documented by the National Park Service since 1921 in Washington, D.C., home to 3,000 cherry blossom trees given by Japan. “In both Kyoto and Washington, the warming trends and earlier blooms are most likely due to a growing urban heat island effect and increasing concentrations of greenhouse gases in the atmosphere,” meteorologist Jason Samenow explained in the Post.